When thinking about becoming a real estate agent, two huge benefits often come to mind: independence and potential income. But these don’t come without a price. Nearly all real estate agent expenses related to your business will need to be paid out of pocket. According to Realtor.com, each year real estate agents spend an average of $5,000 on out-of-pocket expenses. And of course, the cost can vary greatly from agent to agent. Remember too that many of these expenses are tax deductible. Below is a list of the top three real estate agent expenses you are likely to incur. 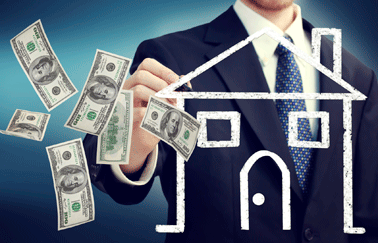 There are a number of expenses associated with obtaining your real estate license. Most states generally require 30 hours of real estate pre-licensing education. Once you’ve passed all of your real estate pre-licensing courses, you’ll apply to take the state licensing exam. The cost of the exam itself, and other expenses associated with the exam, will vary slightly from state to state. Once you pass your exam, you will be required to take real estate continuing education courses in order to keep your real estate license. (Again, the frequency and number of credits required vary by state.) But the learning doesn’t stop there. According to ActiveRain, about 50% of agents spend an additional $500 per year on additional education and training. Real Estate Calculator: $90 to $240. Advertising is a large expense for real estate agents, especially as you’re trying to grow your customer base. In order to prevent overspending, create a well-thought-out advertising plan and budget that includes both paid and free advertising. Real estate agents put an estimated 3.6 billion miles on their cars each year as they drive to preview properties and shuttle clients from house to house. According to the National Association of REALTORS®, the single largest expense category for most agents is vehicle expenses. The most recent data shows that vehicle expenses hovered around $1,790 in 2015. Looking for a career change? Do you have questions about a career in real estate? Download our FREE guide: Is a Real Estate Career Right for You?